Johnson claims that his Equinox Holdings has developed a binary options trading software that will make you $10,000 per month, guaranteed. And guess what, Equinox is free, so you can allegedly get money for free. Well, not really. In reality there is no Equinox Holdings with a binary options trading software and Anthony Johnson is a scam artist, or rather a fictitious character played by an actor. Equinox will not earn you money, quite the opposite will happen, it will take your money and lose it in trading. Scammers always present fake testimonials to make you believe that their offer is the real deal. This is the case of Equinox Trading too. People you see endorsing this program are paid actors that have not made a single cent with this program. 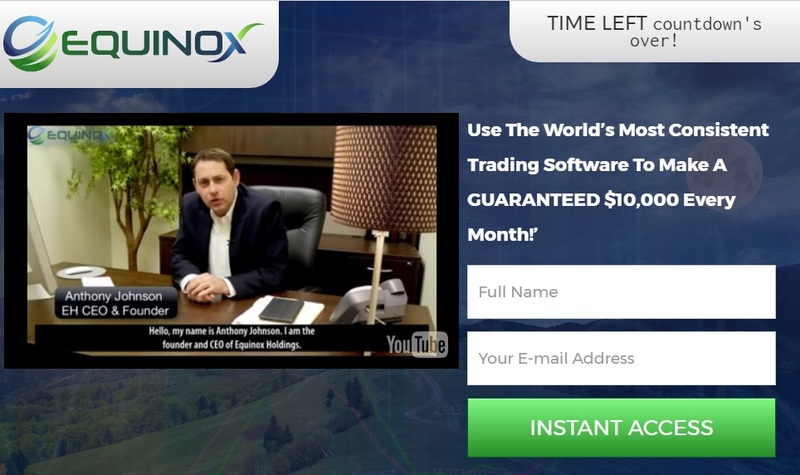 We tested the Equinox Trading software to see what scammers came up with this time. What we found is a well-known software developed and used by scammers only. 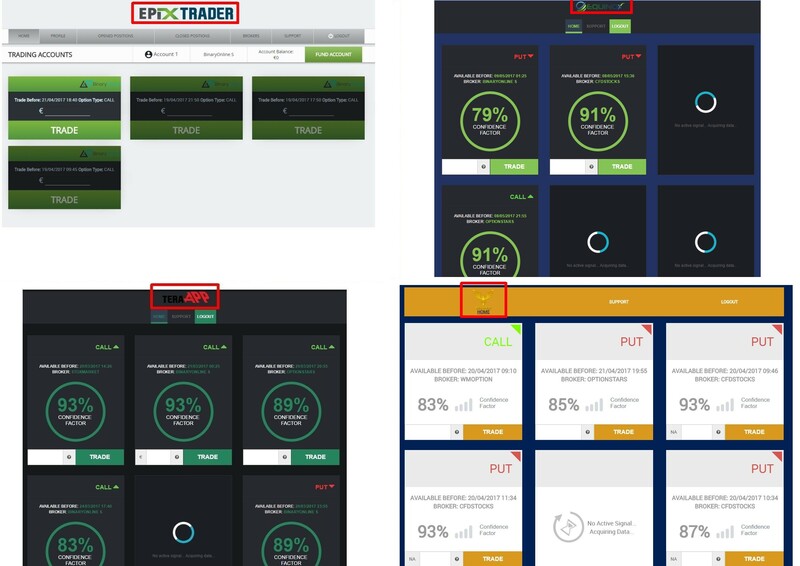 There is a lot of binary options scams based on this same software, like Epix Trader, Tera App and Elite Gold. Take a look at the picture to see a proof. 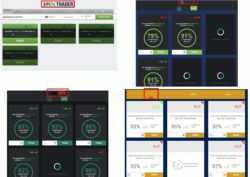 We get a lot of feedback from real traders about this software, so we know it is losing money in trading with real money! So what is the real purpose of Equinox? To make you deposit money with a certain unregulated broker, because if you do it, scammers who run this program will earn an affiliate commission for referring you. As simple as that. You see, Equinox Trading is not really free, because you won’t be allowed to use the software until you make your deposit. Now you know the reason, scammers need to earn their commission before you realize that their software is a loser. Equinox is a total scam that will make money to scammers and lose yours. Stay away from it! If you want to see how real money can be made in binary options trading, open a free demo account with a regulated broker. On the demo you can learn to trade. Don’t switch to real money until you have a good and profitable strategy.